I'm guilty of turning to one of New York City's many food delivery apps like Seamless or Uber Eats on busy afternoons when I need something to eat but I don't have the time or ingredients to make it happen. Although I cringe at the "meal prep" trend, this is a make ahead lunch I turn to again and again when I want to stay on track during the day and save my cash for weekend pizza deliveries. This recipe was inspired by my friend, accomplished blogger and cookbook author Amber St. Peter of Good Saint. Amber posts stellar food photos and videos on her Instagram story. After seeing several posts of her gorgeous roasted vegetables, I adapted the recipe for my own meals. I may not use delivery services to have a prepared meal hand delivered to my apartment door, but I do take advantage of AmazonFresh -- one of the most exciting parts about moving to the city! I love ordering my groceries online. It saves so much time! Have you every tried to quickly run into Whole Foods at Columbus Circle for a few items? Never a quick trip. I always select doorstep unattended delivery before 7 a.m. My food arrives perfectly packaged and chilled in Amazon's insulated green bags outside my door before I even brush my teeth. Combine brown rice, chicken broth, and water in oven safe dish with lid or cover with tin foil. Bake rice in oven for 50-60 minutes. 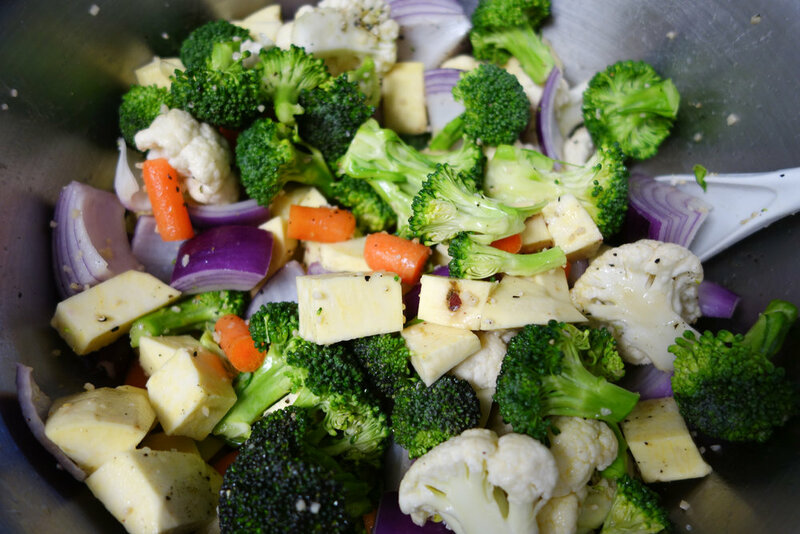 Toss vegetables in olive oil to coat. Salt and pepper to taste. Spread vegetables on foil lined cookie sheet. Roast vegetables for 20-25 minutes, or until sweet potatoes are tender. Lower oven temperature to 350 degrees when vegetables are finished. Rice will continue to cook at the lower temperature. Pat dry chicken breast. Coat with olive oil, salt and pepper. Place chicken in baking dish and roast for 15-18 minutes, or until juices run clear and meat is no longer pink. Assemble bowls with rice, roasted vegetables, and sliced chicken. Top with your favorite hot sauce, salad dressing, and a splash of red wine vinegar. Short grain brown rice is the best for baking in the oven. Long grain rice always goes a little mushy on me. This new flavor from Briana's is fresh and light. I love the added flavor it gives my vegetables without overpowering the dish. 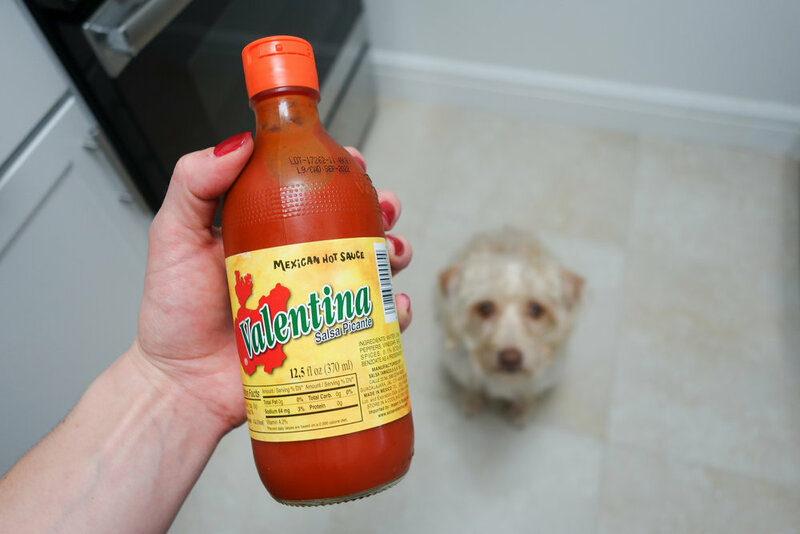 Cholula still holds a special place in my heart but Valentina is my new go-to hot sauce. I put it on everything to add just the right amount of flavorful heat.